“But in your hearts regard Christ the Lord as holy, always being prepared to make a defense to anyone who asks you for a reason for the hope that is in you” (1 Peter 3:15, ESV). The annual gospel feast of the Reformed Baptists in Zambia has come and gone, and our hearts are full of praise to God for the gospel of our glorious God. 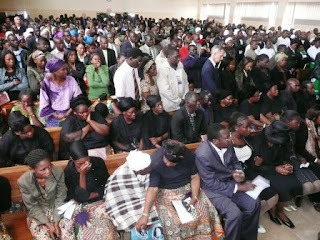 The 2008 conference was held this year at Lusaka Baptist Church's "Tent of Meeting" from Monday 25 to Friday 29 August, 2008. Dr Jim Grier and Dr Voddie Baucham ministered to us on the subject of apologetics at a level that both young and old in the faith were able to relate to. Dr Grier proved to be a Bible encyclopedia on two feet as biblical history oozed out of him in his preaching and lecturing. Dr Baucham, who preached and lectured for us at this conference last year, showed that, like wine, he is getting better with each succeeding year. 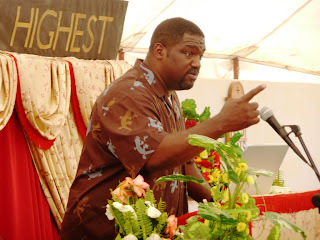 The keynote speaker was Pastor Kennedy Sunkutu of Kafue Reformed Baptist Church. In a very brief message on the first evening he simply reminded us of the importance of apologetics in the life of ordinary Christians if they were to be effective in their evangelistic work. 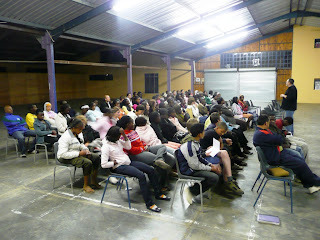 We also had three seminars repeated on two afternoons during the family conference. Ronald Kalifungwa (pastor at Lusaka Baptist Church) taught on the basic laws of logic, Alfred Nyirenda (elder at Mount Makulu Baptist Church) taught on intimacy in marriage, and Raphael Banda (pastor at Central Baptist Church, Mazabuka) taught on modesty and decency in dressing. While this was going on at the family conference, there was a Q&A session at the school of theology. Dr Voddie Baucham and myself were the panelists. “Apologetics is knowing what you believe, why you believe it, and how to effectively communicate it to others.” That was Dr Baucham’s favourite line. In this way he reduced this big word into bite-size so that everyone could see that apologetics was relevant to them. The importance of a worldview to apologetics cannot be overemphasized. So, the messages of Dr Grier were calculated to help us develop a biblical worldview. Dr Grier took us from the foundational first chapters of Genesis all the way to the promises portrayed in the book of Revelation, showing us how consistent the Christian view of life was. He wanted us to learn to look at any one issue from the Bible in the light of the whole. While we were feasting on this, Dr Baucham was showing us from examples in the Bible how to give a reason for the hope that is in us. His final application of apologetics to the Christian family was the grand finale to the conference! This year’s attendance was less than last year. One possible explanation was that last year’s conference also had the Sola 5 attendees in our midst. Also, this year it was not just the Lusaka attendees but also all who were from the major towns on the line of rail who were asked to pay in order to attend the conference. No doubt, this new measure knocked out a few people simply because for many years all those outside Lusaka attended the conference freely. The headcount on the last evening session showed slightly more than 600 people. The registration details showed that this represented sixty three churches and twelve nations. We were particularly encouraged by the fourteen brothers and sisters from America who came to attend our conference, most of whom came from Grace Family Baptist Church, Houston, Texas, where Dr Baucham is the pastor. During the conference reports on a number of inter-church projects were given. We heard from the Zambia Reformed Baptist Building Trust Fund, the Reformed Baptist Radio and Television Ministry, the Reformation Zambia magazine, and the Reformed Baptist Preachers College. Through these joint ventures much was accomplished in the course of the year to spread the Reformed Faith. One highlight at this year’s conference was the launching of the Reformed Baptist Churches Association of Zambia (REBCAZ). This is meant to be a means of enabling all the Reformed Baptist churches in Zambia to work together in joint projects, without the association taking on a life of its own. Also on one of the evenings, three graduates of the Reformed Baptist Preachers College were awarded with diplomas in theology at a brief graduation ceremony. Next year is the twentieth anniversary of the Zambian Reformed conferences. A lot has changed in the twenty years. Pastor Achille Blaize, pastor at Grace Baptist Church in East London, England, has accepted our invitation to come and preach at this historic conference. He preached at the very first Reformed conference in 1990, and so it will be interesting for him to come and see what has become of the seed he planted twenty years ago. Although the stream has not yet become an ocean, by the grace of God we are slowly but surely moving in that direction. To God alone be the glory. Amen! I would not be surprised if this blog began to sound like an obituary column. 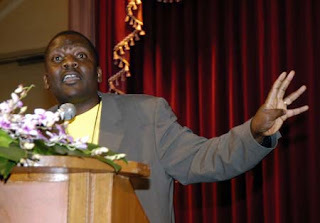 It was only recently that I wrote about the loss of our church elder, Dr Simon Mphuka. Now I have to report on the loss of our state president, H.E. 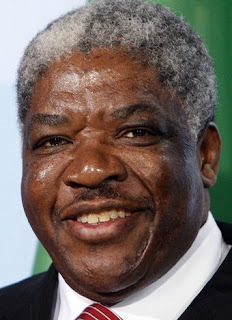 Dr Levy Patrick Mwanawasa, S.C (1948-2008). 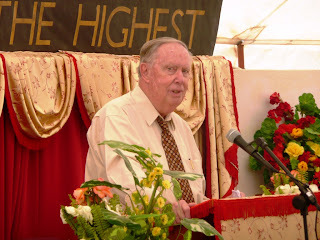 It was on Tuesday 19th August 2008 while I was at the OT International Airport in Johannesburg, South Africa, on my way home from a preaching trip to Namibia that I heard the news that our state president had passed away. This did not come as a complete surprise to me, nor to anyone who had been following the news about the president’s health for the last two months. This did not, however, take the blow out of the news of his demise. I felt my heart sink as I read the news on the internet. As a nation, we have had three presidents since our independence from Britain in 1964. The first was Kenneth Kaunda (popularly called “KK”) who ruled for 27 years, from 1964 to 1991. 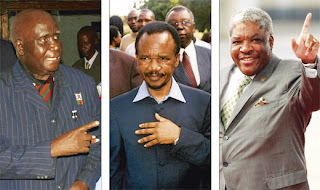 The second was Fredrick Chiluba (popularly called “FTJ”) who ruled for 10 years, from 1991 to 2001. Mwanawasa was the third, and his reign began in 2001 until the Lord took him a few days ago. The first two presidents are still alive, though FTJ continues to be in and out of hospital in South Africa due to failing health. So, this is the first death we have suffered at such a high level as a nation. 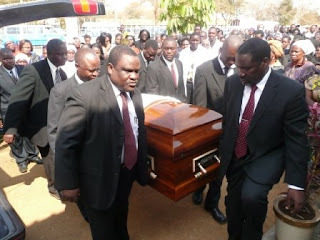 This partly explains why the whole nation is emotionally affected by Mwanawasa’s death. Something else that can be said about our three presidents is that they all professed to be Christians. Kaunda’s father was a missionary to northern Zambia from Malawi. Kaunda, therefore, professes faith, though his meddling with Eastern religions has left many of us in doubt concerning the genuineness of his profession of faith. Chiluba claims to have become a Christian a few years before becoming president, while he was incarcerated for his political activities. However, the information that has become public during his recent court trials can only point to someone who is in a very bad spiritual state. One cannot say similar things about Levy Mwanawasa. He only professed faith in Christ after entering into presidential office. 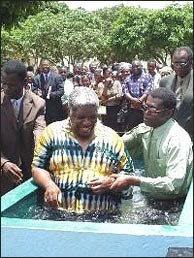 This took place at a Baptist church in Lusaka, where he was later baptised publicly upon his profession of faith. His fight against corruption and his ability to rebuke men like Mugabe, while other presidents were trying to be politically correct, seem to stand in favour of his profession. We are yet to hear anything about his conduct that would militate against his Christian testimony. So, for now, we have every reason to believe that we have lost a Christian brother who has gone to be with the Lord. The next few weeks will be difficult for our nation, and so we would covet the prayers of all those who love the people of Zambia and the church in Zambia. Soon after the president is buried, by constitution, we will have political campaigns for the presidency, culminating in elections within 90 days. Pray for us that we will not find ourselves with “a devil on the throne”. It is an acknowledged fact that under the leadership of Dr Mwanawasa the country has known remarkable economic growth. All these gains can be lost if, as a nation, we “fall into wrong hands”. It is very easy, in the midst of this high profile mourning, to lose sight of the fact that the one who has died was primarily a husband and a father. Once a new president is chosen the nation will move on, but no one will fill the vacuum that the president’s death has created in his family. The First Lady, Mrs Maureen Mwanawasa, has lost a husband and a pillar upon whom she leaned. Their children (Miriam, Patrick, Chipokota, Matolo, Lubona and Ntembe) have lost a father who provided for them in material, emotional and counseling terms. As you pray for the nation, please remember the late president’s family. They will certainly need our prayers for many years to come! My first visit to Namibia was in 1994, i.e. fourteen years ago. I was invited to preach at a church leaders’ conference at Eastside Baptist Church, in Windhoek. Since then I have visited Namibia on preaching trips about once every two years and seen the work of the Lord grow from strength to strength. At one time, the Reformed Baptist movement in that country was a small stream but now it is slowly becoming a mighty river and I have no doubt that it will continue to grow until it becomes a glorious ocean. This time, I was invited to preach at the Baptist Youth Camp of Namibia (BYCN), hosted by the Reformed Baptist churches in that country. It was their third year of hosting this camp and it had about seventy teenagers (less than last year) from different churches and backgrounds. I preached three sermons on the subject of assurance of salvation from Romans 7 and 8. (The picture above shows Marinus de Bruijne, the chief organiser of the camp, giving some announcements). I would like you to remember two men, particularly, in your prayers because of the role that God seems to have given them in the work of Reformation in that country. The first is Joachim Rieck. He has been the pastor of Eastside Baptist Church since 1990. Joachim reminds me of Martin Luther not simply because he is German but because of his personality. He is an intense person who will not rest until what he has seen in Scripture becomes part of his life and the life of his church. Is this not what it means to be Reformed? Because of this, Joachim has naturally provided leadership to the Reformed movement in the Namibia. 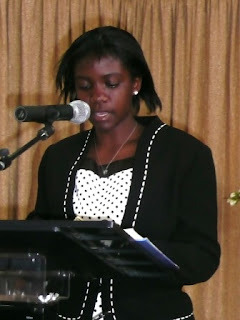 The second person I would like you to remember in your prayers is Laban Mwashekele. Until recently, Laban was the pastor of Monte Christo Baptist Church, a church he helped establish a few years ago. He is now concentrating on church planting, especially in the northern part of the country where 60% of the population of Namibia lives. Laban reminds me of George Whitefield. He is doctrinally solid and at the same time very evangelistic. He is all wind and fire, and he is ever on the move. He is a very effective preacher especially in his own mother tongue. Perhaps let me end this brief report by adding to your prayer list the new Grace Reformed Baptist Church in Windhoek. Joachim thinks that although this is a very new work, it will be by far the most decisive work in taking the Reformed Faith to the next level of its indigenisation and growth in the country. We are presently working towards sending them a missionary pastor, hopefully by January 2009. 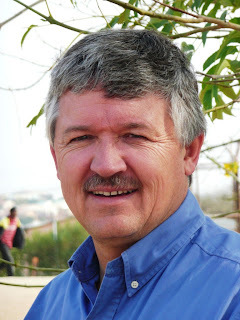 Pray that the missionary pastor we will send them will get a work permit into Namibia and that funds will be found to keep him there until the church is able to fully support him. Dr Simon Mphuka, one of the elders at Kabwata Baptist Church, went to be with the Lord at around 01.00 hours today after a sudden illness that took the whole church by surprise. Just before my departure for the USA, we had an elders' prayer meeting on Saturday 5th July which ended with breakfast. Simon shared about his recent failing health. He had been to see a doctor who found nothing wrong with him and sent him on a week's holiday. He returned feeling much better but not yet quite himself, he said, and asked for prayer. On Sunday 6th July, he participated in the prayer times we spend together as church officers before each service and even in the worship services. After that, on Thursday 10th July I left for the USA only to arrive on the other side of the Atlantic to find that, back home, Simon had been admitted in hospital with an excruciating headache. That was the beginning of the end. He was never to walk out of hospital again. One complication led to another until, having been evacuated to South Africa for further treatment, he entered the immediate presence of God early this morning. We are all still recovering from the shock! 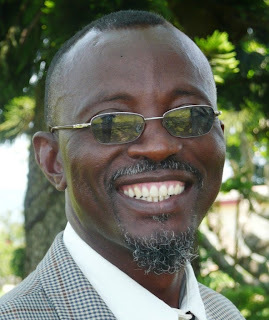 Simon has been part of Kabwata Baptist Church for the better part of the church's life, having been part of the initial outreach efforts into the Kabwata residential area in the early 1980s when he was still single and a medical student. He was the fledgling-church's second librarian in the days when the entire church library used to be carried in a plastic bag as Simon walked from the Ridgeway campus of the university to church every Sunday. In 1986 he was chosen to serve the church in the office of deacon. He faithfully discharged his duties, until he left on attachment to a rural health institution in 1988. When Simon returned to Lusaka, he was very burdened about the Zambian Reformed Baptist churches' lack of appropriate response to the problem of AIDS in the country. This led him in 1996 to spearhead the formation of an HIV/AIDS counselling ministry in the church called "Hope for the Afflicted Ministry". This ministry put out adverts in one national newspaper inviting those who needed counsel to get in touch. Through this avenue this ministry counselled many people right across the country. 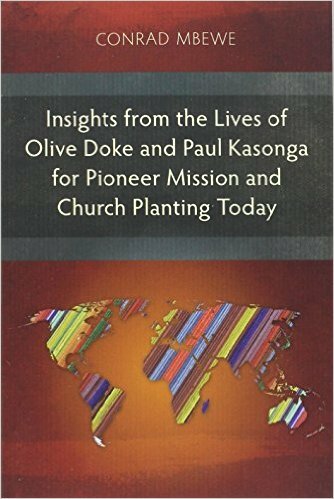 In a book written to commemorate the first twenty years of Kabwata Baptist Church's existence, Simon eloquently testified to the great fulfilment he found in this ministry. 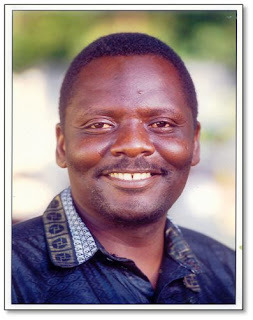 Thoughout Simon's membership at Kabwata Baptist Church he played a teaching role in one form or another. He was either teaching a Bible study group on Sunday morning, or a mid-week Bible study in one of the home cell groups, or preaching during one of the Sunday services. He was also very supportive to the missions work of the church and spent a lot of his Sundays visiting or preaching at one church-plant or another. Missionaries benefited immensely from his generous heart because he never saw a financial need among them without wanting to meet it. 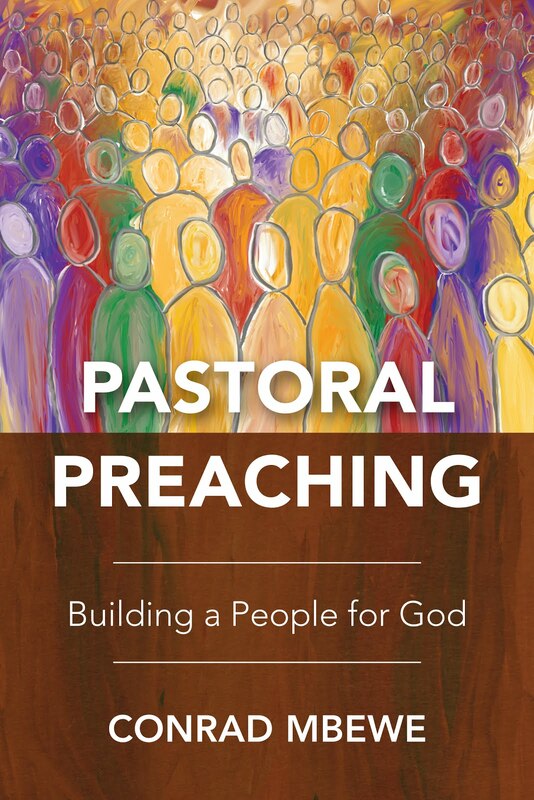 The next major role that Simon played in the church was in 2003 when the church's eldership disintegrated. 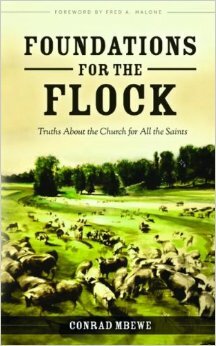 The church chose him to provide leadership during the phase in which a team was put together to help the church back on its two feet. He played this role with great maturity and wisdon, and thus the church was able to begin rebuilding its eldership a year later. It was partly because of the leadership mettle that the church saw in him during this period that he was asked to join the eldership in 2006. Simon accepted this challenge, despite his very demanding job as the chief executive of the Churches Health Association of Zambia (CHAZ), which coordinates the activities of the medical institutions in the country run by churches. These medical institutions provide 60% of all health care in rural areas. (For Simon's national and international work related to CHAZ, just type in his name in any internet search engine and see for yourself). In the two years he was in the eldership, he carried out his oversight work with a great sense of conscientiousness. From the time I first met Simon during my undergraduate days he remained a dear friend in the faith and so I have appreciated his friendship over the last twenty-five years. I had the privilege of conducting his wedding some eighteen years ago, and have seen God bless his marriage with children over the years. His life was marked by consistent humility, wisdom, generosity, hospitality, integrity, hard-work and love for the cause of Christ. He had no personal pocket agendas. He was outwardly what he was inwardly, and so what you saw was what you got. I valued his friendship because of all these traits, which commended the beauty of Christ's saving work to those around him. 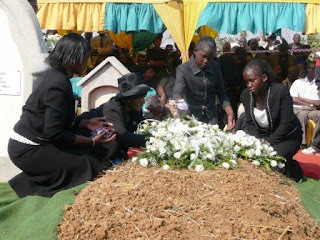 Dr Simon Mphuka leaves behind a wife, Lillian, and three wonderful daughters - Wankumbu Veddrunna (16), Dhozinta Zewelanji (14) and Wankunda Venna (12).